Soldiers’ Home History: Regina Jones, First Female Resident | Park View, D.C.
« Are You Looking for an Easter Activity for the Kids This Weekend? Then This Might Fit the Bill. Regina C. Jones, first female resident at the Soldiers’ Home. At 10 a.m. on September 2, 1955 — 104 years after the Soldiers’ Home was established in 1851 — the 1,800 all-male institution ended as it opened its doors to its first woman resident. The woman with this honor was Miss Regina C. Jones, a 47-year-old former Woman’s Army Corps private first class. 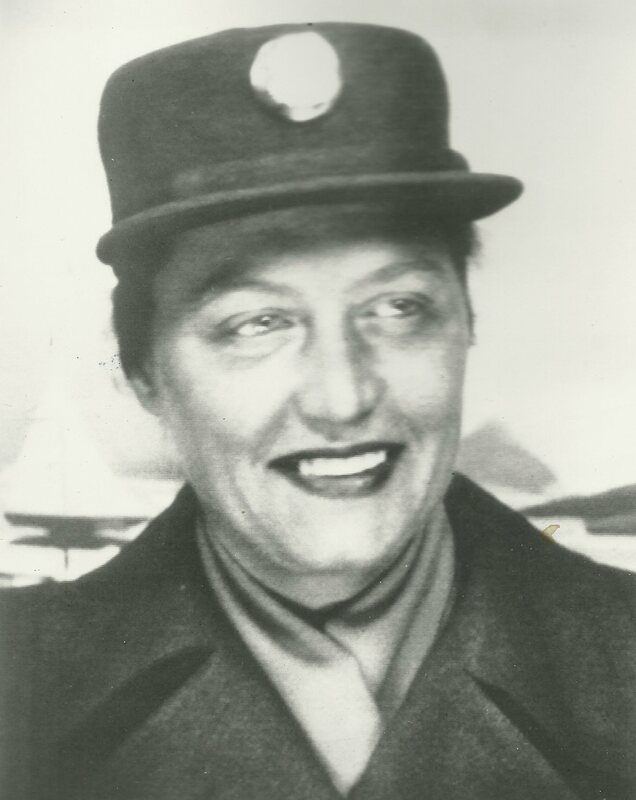 Miss Jones was in the Army from 1943 to 1947. She was stationed in Egypt and developed cataracts in both eyes in 1945. Doctors believed the condition was caused by the glare of the sun and sand. Her reduced vision led to a series of falls, stumbles, and hitting her shins. After one event, a blood clot developed stopping circulation in one of her legs resulting in its amputation. Jones stated she started thinking about entering the Soldiers’ Home when a friend read a news article about the opening of the Anderson Cottage on the grounds for World War II WACS with service-connected disability (The Soldiers’ Home had decided to open to WACs in November 1954). Upon entrance to the Soldiers’ Home, Jones settled in comfortably in private quarters in the Anderson Cottage. Jones was the sole female resident at the Soldiers’ Home for a while, with the first prospect of another WAC joining the home coming three months after her arrival. This entry was posted on April 17, 2014 at 12:01 pm and is filed under Armed Forces Retirement Home, History, Lincoln's Cottage. You can subscribe via RSS 2.0 feed to this post's comments. Regina Jones was my Great Aunt. I’m so proud! My mother is 82 and always talked about her Aunt who was also her Godmother. She loved her very much. I have the gold cross Regina gave to my mother when she was born. Her name, my mother’s name is engraved on it. Mary Regina. This is very cool.